In order to display up-to-date data, the Xcalibur W console automatically refreshes its Graphical Interface every 10s. This automatic refresh rate can sometimes be annoying for some users. In this case, Administrator might want to set the rate differently as described below. 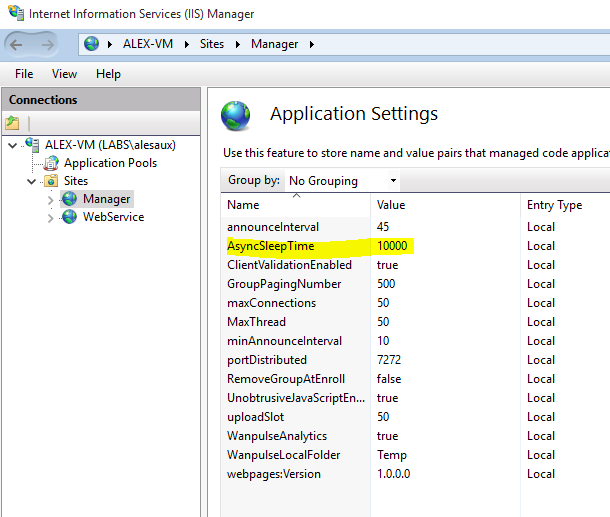 The refresh rate is available within the IIS Manager > ASP.NET > Application Settings, under AsyncSleepTime entry. The value is in milliseconds, therefore for a 30s refresh rate, the AsyncSleepTime value shall be set to 30000.